For those of you who are keeping tab, we’re settling into my final week of being on the Whole30. The first few weeks were fine for the most part, but holy batman, it’s getting HARD. This could be my cravings playing tricks with my mind, but I can murder a big bowl of Puffins cereal with soy milk right now . . . and then wash it down with a nice bar of 60% chocolate with toasted coconut. Mmmmm. STAY FOCUSED. Eye of the tiger. Moving on to this chicken satay . . .
Whomever came up with the idea of threading pieces of meat on a stick and cooking them over a fire deserves a huge pat on the back. It means I can eat my meat anywhere and bring my messiness with me. I am no dainty eater. I am Mama Lin’s daughter, after all. The secret to this chicken satay is marinading. That’s where the chicken gets most of its awesome flavor. We all know now that I’m not the best at prepping food ahead of time. But the flavors of a quick marinade for this chicken doesn’t even compare to the overnight method. The prep for the marinade takes no more than 10 minutes. If I can do it, so can you! 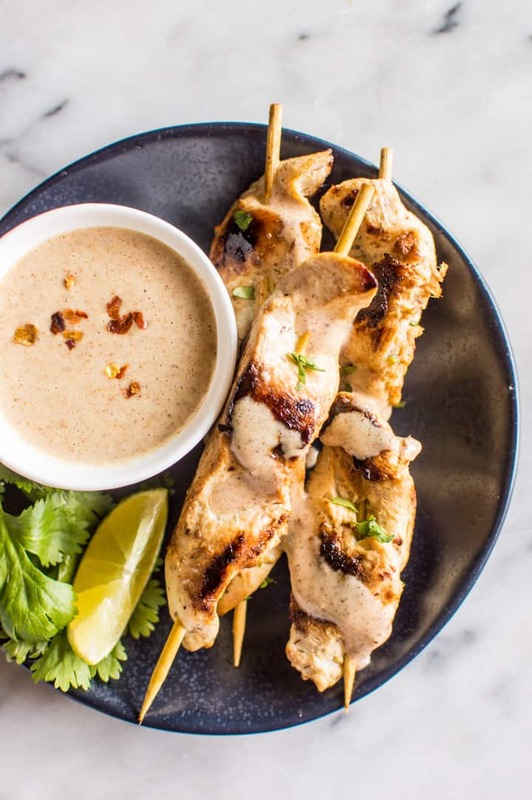 This easy and healthy chicken satay is packed with lemongrass, lime, and ginger flavor. Pair it with the almond butter dipping sauce for the perfect appetizer! Serves 4. You want to start off with pretty thinly sliced chicken breasts. Aim for 1/3-inch thick slices. 1/2-inch slices are okay, but you’ll need to cook the chicken for a few more minutes. Cut each slice of chicken breast into 1-inch wide strips. 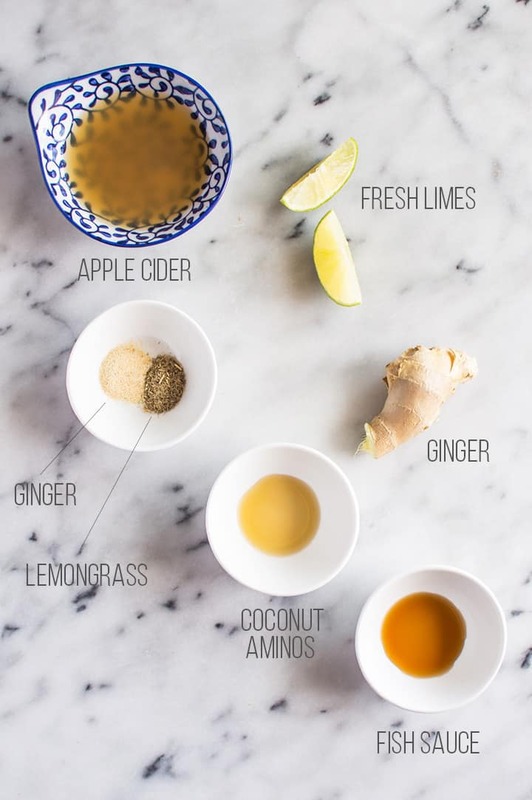 In a medium bowl, mix the apple cider, lime juice, fish sauce, ginger, sesame oil, lemongrass, and garlic together. Add the chicken breasts and cover the bowl with plastic wrap. Refrigerate overnight. Take marinated chicken out of the refrigerator. Thread chicken strips through the soaked skewers. Heat a large skillet with 1 1/2 to 2 tablespoons of olive oil over medium to medium-high heat. Place about half of the chicken skewers on the skillet. Cook each side for about 3 minutes. If you are working with thicker chicken strips, you’ll want to cook each side for 4 to 5 minutes. Set the first batch of cooked chicken onto a plate to cool. Add another 1 1/2 to 2 tablespoons of oil into the skillet. Place the remaining chicken in the skillet and cook each side for 3 minutes. While the chicken is cooking, prepare the dipping sauce. Blend dipping sauce ingredients together until smooth. Top with red pepper flakes, if desired. Let the chicken rest for a few minutes before serving. Enjoy with the dipping sauce. Refrigerate leftover chicken for 4 to 5 days. Refrigerate dipping sauce for 1 week. The sauce will be thick when it’s refrigerated. Leave it out in room temperature for 15 minutes before using it again or dip the container in a bowl of warm water for 5 minutes. If you make this recipe, make sure to share your creation with me on Twitter or Instagram and hashtag #hnbeats! 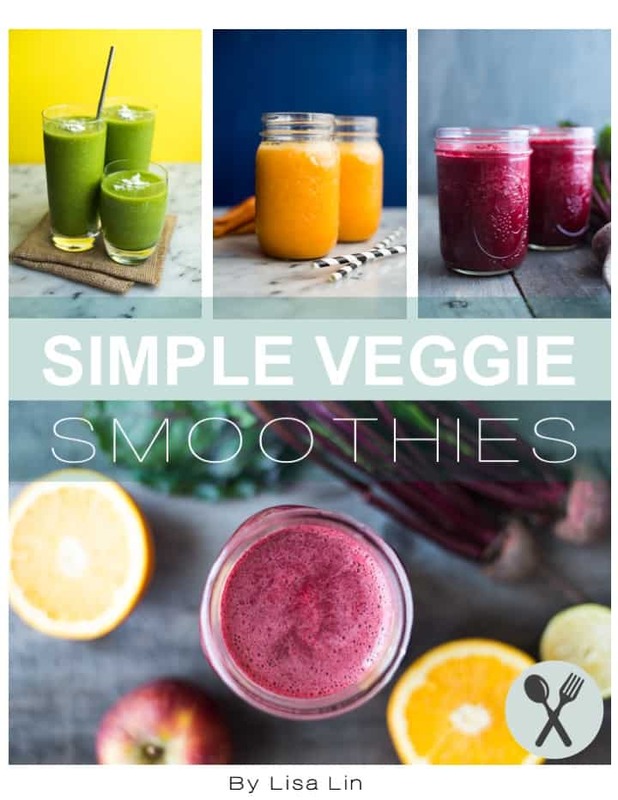 Also, be sure to follow me on Facebook and Instagram for more Whole30 recipes. I’m in a really bad mood with you. Why? Because when I did whole30, the fanciest thing I ate was probably some random chorizo I found which had no additives or anything- Then they went out of business. I need this, STAT. Haha, I should make a frozen version of this and sell it!! Also, holy cow, it’s hard to find prepared meats that are Whole30 compliant! I have always wanted to make chicken satay! Seriously you make the Whole30 look so delicious and easy with recipes like these lol but I have to agree, peanut butter puffins cereal is the way to my heart and the ultimate snack. You’re almost there!! And p.s. totally pinning this and making asap! Thank you, Selena! 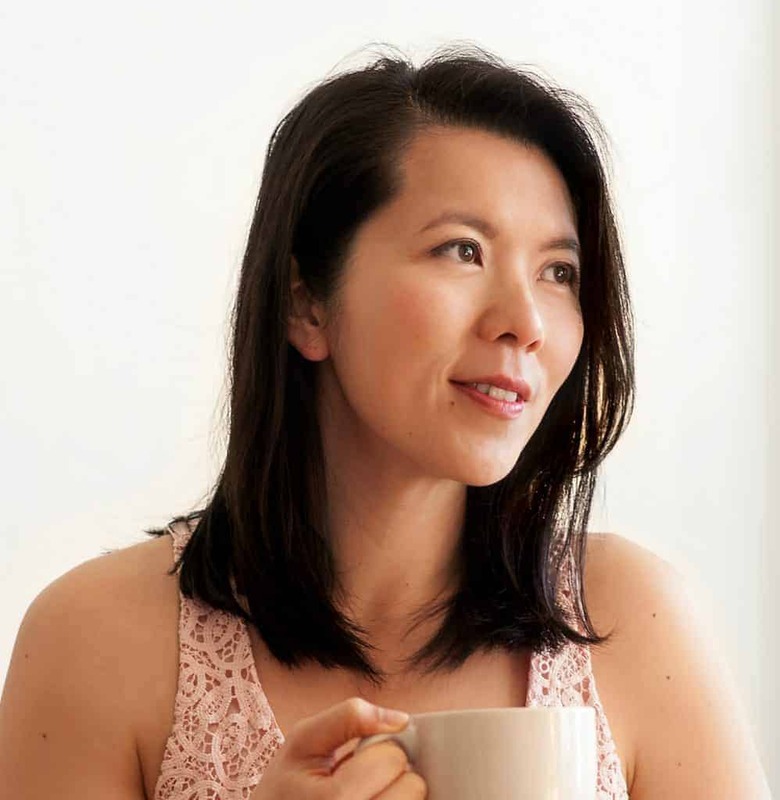 Okay, so it has taken me forever to respond to comments and the Whole30 is over, but…..I’m so glad I’m over with it! I don’t have to be suuuper careful with what I eat anymore! I ate a whole handful of them for breakfast the first day! That and banana + peanut butter! This sounds heavenly. I’m totally craving all of those flavors now! Adding this to my “To-Make” list! Good luck on your final stretch of Whole30-ing! Thank you for your encouragement, Sydney! Oh hey, a satay recipe that calls for a skillet not a grill!! I have everything but the lemongrass but this looks so nice and light to pair with a salad for dinner next week!! Ooh, yes please! Satay is one of those things I forget about, and then when I remember and have it again, it’s just SO good. Love the almond butter dipping sauce! Hi Lisa! My first time visiting your blog. The almond butter dipping sauce sounds perfect, I have a little (huge) addiction to almond butter so that caught my attention straight away. Hehe. Pinned. Sarah, thank you SO much for stopping by, and sorry it’s taken me so long to respond!! I do hope to be able to visit Northern Ireland one day! Yummo! You had me at lemongrass! And that almond butter dipping sauce sounds so good! I am pretty sure it would be delicious on everything! I love meat on a stick. I love lemongrass. I love almond butter. I just love this recipe! I can’t wait to try it! Another great recipe, Lisa!! 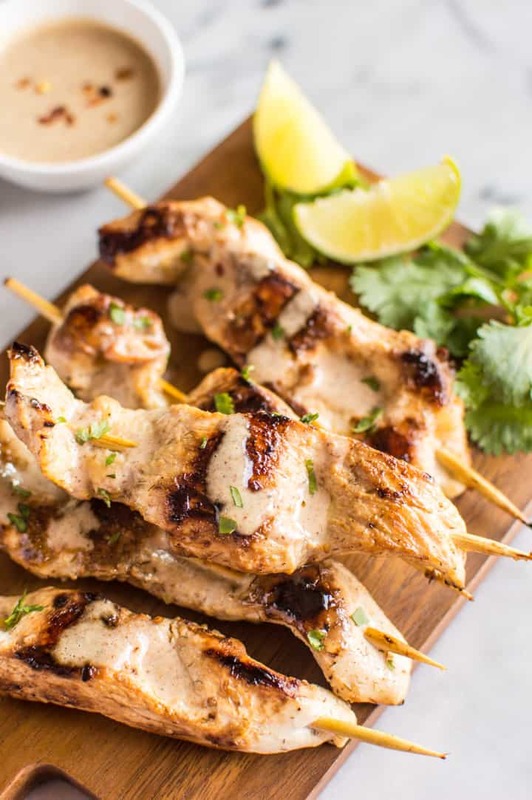 Love this chicken satay and that almond butter dipping sauce looks so delicious! Scheduled to share on my social media. Thank you, Neli!! I do appreciate the sharing love! I’ve never made satay with lemongrass. What a fabulous idea! And then to pair it with almond butter-YUM! I just had all that dried lemongrass lying around, and I thought, why not throw it in here! It was a good decision! Your photography is so beautiful! Good luck on the final countdown on Whole 30 🙂 That sauce looks incredible! Thank you, Alex!!! I was so glad that I was done with the Whole30 during the almond tour! This looks amazing! My son can’t eat peanuts so this is the perfect alternative for us. And hey what a treat to discover your blog. I am also a “recovering lawyer” and it’s great to find others in the same boat. Glad to see you are making a career in the food world. Hopefully you don’t miss lawyering too much ;-). Haha, I certainly don’t miss it. Thanks again for stopping by my blog!! Oh that almond dipping sauce sounds amazing!!! I need to get some fish sauce in my kitchen asap- it’s such a great condiment. 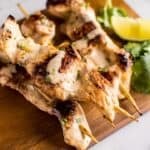 Peanut chicken satay was my go to as a kid whenever we went to a thai restaurant so this is definitely Pinned for later! After the Whole30, I definitely had a newfound appreciation for fish sauce! Hell yes. That sauce, so dreamy! I have learned to benefits of a good marinade and this one sounds fantastic!